June 21, 2012 FACEBOOK Webinar - Website of fewfoundation! 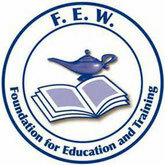 FEW's 2012 National Training Program (NTP) will be held in Detroit, MI from July 16-20th. This webinar provides an overview of the training program and the special activities we can expect in Detroit. To access the Webinar recording. March 26 - FEW's Scholarships, presented by Sheryl Coleman, Scholarships Chair: download here. Please note: the audio portion of the webinar did not record properly; the attachment is the PowerPoint presentation only. March 15 - FEW's Awards and Scholarships, presented by Shelly McCoy, Awards Chair, and Sheryl Coleman, Scholarships Chair: download here. Please note: the audio portion of the webinar did not record properly; the attachment is the PowerPoint presentation only. The Scholarships portion of the webinar has been rescheduled. Click here to view 2011 Webinar Recordings.